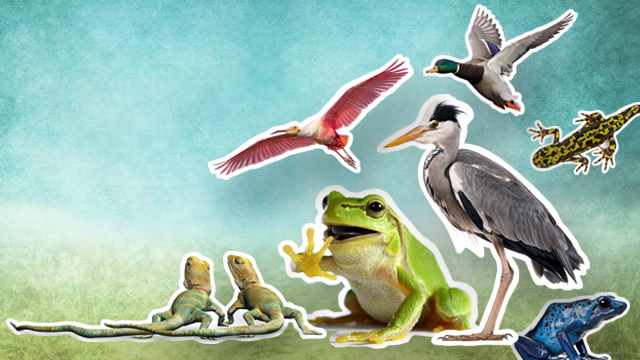 ANIMAL PHOTOS © ISTOCKPHOTO.COM: MALLARD—PAUL TESSIER­; NEWT, HERON, DART FROG—GLOBALIP; LIZARDS—KIMWHIT92; FROG—ANTAGAIN; SPOONBILL—KEN CANNING. CAECILIAN—© KAMNUAN/SHUTTERSTOCKFew experiences have hit me harder than walking through a bat graveyard. In March 2014, my colleagues and I were doing research in a pair of underground mines in northern Illinois. Five months earlier, these mines had been home to more than 28,000 bats of five species, but on that day they were tombs, littered with lifeless, fungus-covered bodies. The bats’ skin was dry and flaking; their bodies, which hung from the walls near the entrances, were so emaciated that their bones nearly protruded through their skin. When we surveyed the area, we found just 1,023 live bats in one mine and 5,237 in the other. More than 75 percent of the bats were dead from white-nose syndrome, an emerging disease caused by the fungal pathogen Pseudogymnoascus destructans. We left Illinois the next day emotionally spent. 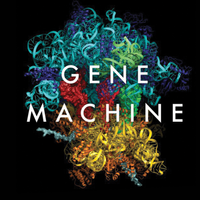 Our team, along with the broader community of biologists who study this disease, has been searching for ways to prevent this pattern of devastation from repeating itself. Sadly, white-nose syndrome continues to ravage bat populations as it spreads westward across the continent. (See map here.) Over the past seven years, the disease has killed millions of bats in 25 states and five Canadian provinces, making it one of the most devastating diseases to affect mammals in recorded history. Unfortunately, bats are not the only animals struggling to survive in the face of emerging pathogens. 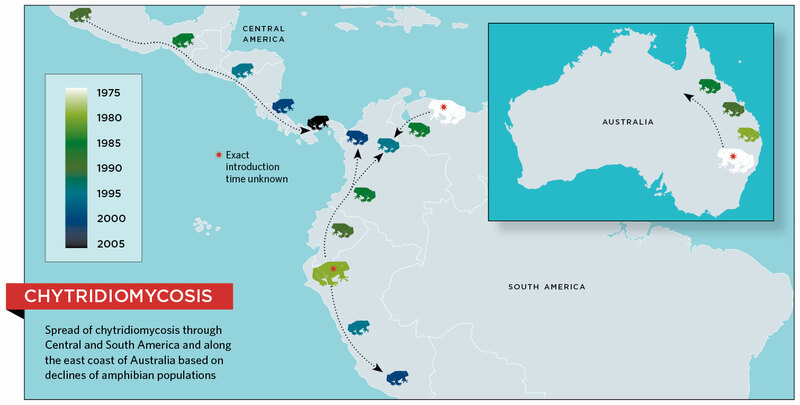 Amphibians have been decimated by chytridiomycosis, another fungal disease that is now found on all continents except Antarctica and is believed to have driven more than 100 species to extinction. Meanwhile, millions of birds in North America have died from West Nile virus, which became the most widespread mosquito-borne disease on the planet when it spread across the Americas in the past decade. 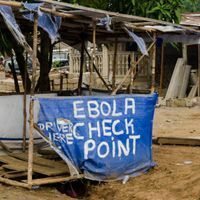 Such destructive outbreaks are often spurred by the emergence of pathogens in new locations, where hosts have not yet evolved sufficient defenses against these diseases. Understanding what shapes these epidemics is instrumental in bringing them under control and reducing their impacts on the world’s biodiversity. See full infographic: JPG | PDF© ISTOCKPHOTO.COM/POP_JOPIn one region of Panama, ecologist Karen Lips of the University of Maryland and her team documented the invading wave of death as the fungus swept through in 2004. (See map here) In just three months, amphibian populations declined by 95 percent, with more than 40 species infected.2 This study was the first to conclusively document the invasion of the disease, known as chytridiomycosis, and to show that amphibian die-offs weren’t primarily due to climate change or changes in UV radiation, as some had proposed. Chytridiomycosis is responsible for declines and extinctions on four continents, and appears to kill amphibians by disrupting the exchange of electrolytes across their skin. However, in some species, individuals that survive initial infection appear to have some acquired resistance to subsequent infection, and this may partly explain remnant populations of some heavily impacted species. Scientists have detected the fungus that causes chytridiomycosis on all continents except Antarctica. As a result, conservation efforts have mostly shifted from stopping the pathogen’s spread to preserving remnant populations in captive colonies. In some areas, especially low-elevation, warm areas in the tropics, amphibian populations appear to be able to persist with the fungus, while high-elevation populations of several species, such as those in the mountains of Central and South America or the Sierra Nevadas in California, are extirpated. Bd may have been spread between continents by the trade in amphibians, including Xenopus frogs, which were used for pregnancy testing in the early 20th century, and American bullfrogs, which are still shipped to many regions of the world where people have an appetite for frog legs.3,4 The mode of local spread is still unclear, however, because the fungus moves through relatively pristine areas at rates higher than would be expected from amphibian movement. Researchers are currently studying drivers of transmission, including landscape, climate, and host community ecology, in hopes of identifying ways to reduce the impacts of this disease. Unfortunately, because these diseases do not directly affect human populations, resources for managing wildlife pathogens such as the white-nose fungus and Bd are relatively sparse. In contrast, another wildlife pathogen, West Nile virus, can and does infect people, and has attracted substantial funding for both research and control from federal and state agencies. L.F. Skerratt et al., “Spread of chytridiomycosis has caused the rapid global decline and extinction of frogs,” Ecohealth, 4:125-34, 2007. K.R. Lips et al., “Emerging infectious disease and the loss of biodiversity in a Neotropical amphibian community,” PNAS, 103:3165-70, 2006. 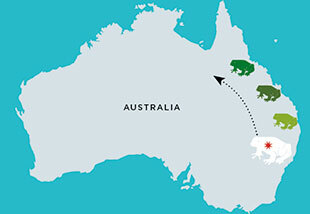 C. Weldon et al., “Origin of the amphibian chytrid fungus,” Emerg Infect Dis, 10:2100-05, 2004. L.M. Schloegel et al., “Magnitude of the US trade in amphibians and presence of Batrachochytrium dendrobatidis and ranavirus infection in imported North American bullfrogs (Rana catesbeiana),” Biol Conserv, 142:1420-26, 2009. Species impacted: Populations of four species in the northeastern U.S. have declined more than 75 percent: little brown bat (Myotis lucifugus), tricolored bat (Perimyotis subflavus), Indiana bat (Myotis sodalis), and northern long-eared bat (Myotis septentrionalis). Conservation actions: Restricted human access to hibernacula. Future actions could include microclimate manipulation of hibernacula and treatment of bats with probiotics. 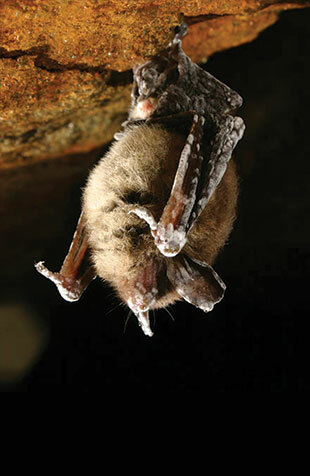 New York State biologists first detected white-nose syndrome in 2007 in a cave west of Albany, but a retrospective analysis of a photograph from February 2006 showed a bat with white fungus on its muzzle. It’s unknown exactly how the fungus reached the continent, but thousands of international tourists visit North American caves each year, and conidia, the spore-like stage of the fungus’s life cycle, can remain viable on shoes, clothing, and other items for weeks. 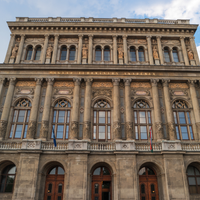 Researchers suspect that the fungus has been widespread in Europe for thousands of years and may be present in Asia, but, for unknown reasons, it doesn’t appear to be causing any declines in bat populations in these regions. A traveler could have easily carried the fungus across the Atlantic or Pacific Ocean. Once the pathogen reached US shores, it raced through local bat populations. So far, twelve bat species have been infected; four have declined precipitously, and one of these faces imminent extinction. See full infographic: JPG | PDF© ISTOCKPHOTO.COM/POP_JOPWarming their body from near freezing to a toasty 40 °C (104 °F) requires substantial energy. Healthy bats only have enough fat reserves for eight to 12 awakenings per winter, during which they drink and eliminate waste. With their more-frequent waking, bats affected by white-nose use up those reserves well before the end of winter. In the field, bats that have exhausted their fat reserves cluster near hibernacula entrances, possibly waiting for a warm night and the insects it might bring so they can fly out and replenish their fat stores. But in northeastern North America, where bats are emerging in search of food as early as January or February, they often starve long before any insects arrive. Some species have been hit especially hard by the fungal pathogen. One of them, the northern long-eared bat, was never an especially common bat in caves and mines in the northeastern U.S., and white-nose syndrome is now likely to drive this species to extinction. Of the 271 bats our team counted in one of the Illinois mines in November 2013, we could find only one northern long-eared bat, and it was covered in fungus and unlikely to survive until spring. (See photograph of bat, above.) Overall, the species has declined by more than 99 percent wherever white-nose syndrome has been present for at least two years. 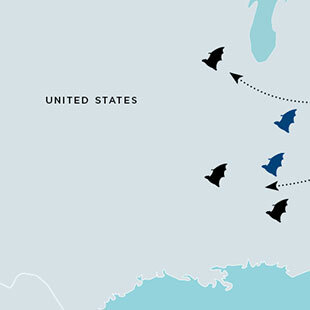 Populations of the little brown bat, previously the most abundant bat in North America, have also declined by more than 75 percent across a wide range of the eastern half of the continent, as have populations of the tricolored bat and the Indiana bat. Whether these and other species will go extinct, persist at much lower abundances, or develop resistance to the disease and rebound is unknown. So far, however, good news is relatively sparse. A few populations in New York appear to have stabilized, and one or two may even be growing. But the mechanisms allowing these populations to persist are unclear, and some worry that the upswing may simply be a result of animals migrating in from less affected areas. L. Warnecke et al., “Inoculation of bats with European Geomyces destructans supports the novel pathogen hypothesis for the origin of white-nose syndrome,” PNAS, 109:6999-7003, 2012. Distribution: Before 1999, occurred throughout Asia, Europe, Africa, and northern Australia. Introduced to North America in New York State in 1999; by 2006 had spread throughout North, Central, and South America. West Nile virus is a single-stranded RNA virus related to dengue and yellow fever viruses. It is transmitted between mosquitoes and a wide range of birds, and occasionally spills over into humans and horses. It was first detected in North America in 1999, when a cluster of patients were admitted to hospitals in New York City with a relatively rare neurological condition, encephalitis, or inflammation of the brain. At the same time, significant numbers of crows were dying across New York City, and many captive birds at the Bronx Zoo perished from infection. After some confusion about whether St. Louis encephalitis virus—another mosquito-borne pathogen that has been present in North, Central, and South America for millennia, but rarely kills birds—was causing the human illnesses, the pathogen was identified as West Nile virus. The strain introduced to North America was shown to be closely related to strains of the virus circulating in Africa and the Middle East at the time.1 West Nile virus was new to the Americas, and was possibly transported by a mosquito hitchhiking in the cargo hold of an airplane. See full infographic: JPG | PDF© ISTOCKPHOTO.COM/POP_JOPSeveral species of birds are acutely susceptible to the virus, which often causes mortality when it enters the central nervous system and brain. Laboratory studies have suggested that nearly 100 percent of American crows and tufted titmice perish once infected, and both species have declined across large regions of the U.S. West Nile virus has also caused declines in several other species including American robins, eastern bluebirds, house wrens, and chickadees.2 In all, at least four different families of birds in the U.S. have seen notable declines over the last decade. However, in contrast to chytridiomycosis and white-nose syndrome, West Nile virus does not appear to threaten any species with extinction. 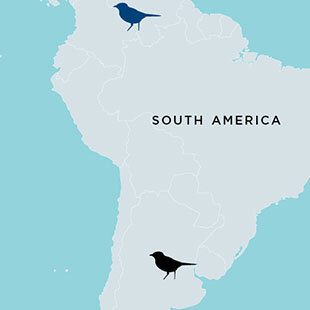 This is mainly because transmission of the virus is limited to habitats where its mosquito vectors are abundant, and most bird species occupy ranges that include some habitats where transmission is relatively low or absent. As a result, while many species’ populations have declined by as much as a third across an entire state and up to 90 percent locally, most have been able to bounce back in years when transmission has been relatively low. Moreover, because West Nile affects humans and domestic animals, government and private companies have invested resources to develop several vaccines for the virus, which have been implemented to protect California condors and Santa Cruz Island scrub jays in the field. R.S. Lanciotti et al., “Origin of the West Nile virus responsible for an outbreak of encephalitis in the northeastern United States,” Science, 286:2333-37, 1999. S.L. 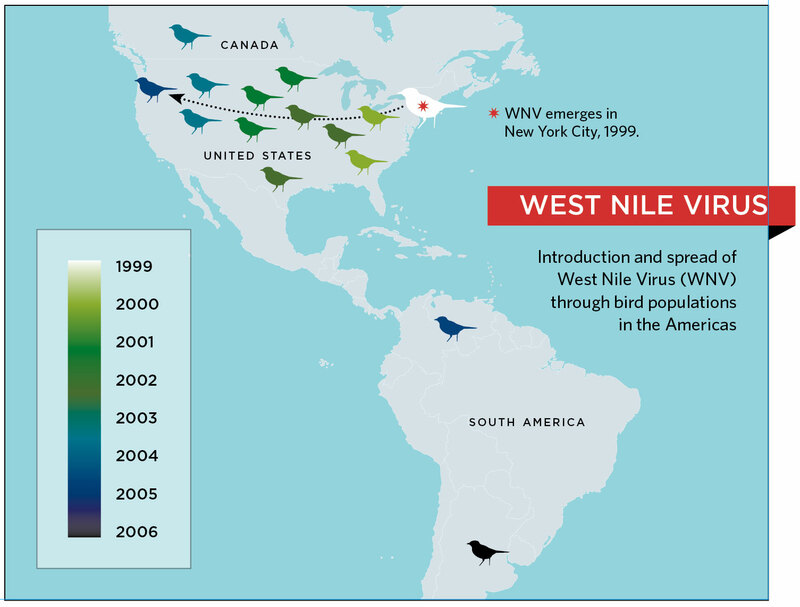 LaDeau et al., “West Nile virus emergence and large-scale declines of North American bird populations,” Nature, 447:710-13, 2007. One thing that the many devastating wildlife diseases have in common is that they infect many different animal species, only some of which suffer substantial mortality, while others become infected and transmit the pathogen but do not die. The result is that transmission often continues even as susceptible species’ populations decline, sometimes leading to local extinctions. For species that only occur in environments that are highly suitable for the pathogen, global extinction is possible. 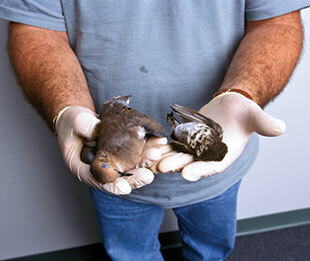 Active conservation management is needed to prevent these extinctions from occurring. Unfortunately, interventions to reduce the impacts of wildlife disease are extraordinarily difficult to implement. The standard tools used to control most infectious diseases of humans and livestock—drugs for treating infected individuals and vaccines to prevent infection and spread—are typically not practical solutions for epidemics affecting wild animals. Only relatively long-lived or extremely rare species have been vaccinated against disease as a part of conservation efforts, and these vaccines were originally developed for domesticated animals. Developing vaccines or drugs specifically to treat wildlife is often cost-prohibitive. 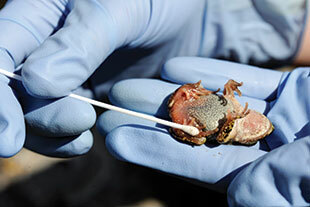 Some researchers are developing treatments for chytridiomycosis and white-nose syndrome by searching for antifungal bacteria present on the skin of less-affected animals, and adding them to populations that are suffering large declines from disease. A group led by microbial ecologist Reid Harris of James Madison University in Harrisonburg, Virginia, for example, found that one species of bacteria isolated from salamanders, Janthinobacterium lividum, reduced mortality from chytridiomycosis in mountain yellow-legged frogs in the lab.1 Several other bacterial species have also been found on the skin of both frogs and bats that have antifungal properties in petri-dish challenges. However, successful field trials have not yet been reported for wild populations, and efforts to apply J. lividum to other species of amphibians in the lab have not been as successful. These challenges with conserving amphibians in the wild have led to the creation of the Amphibian Ark, an organization dedicated to maintaining captive populations of several species until future solutions can be found. Unfortunately, researchers have yet to breed insectivorous bats in captivity, so this strategy cannot be used for bats. And even for frogs, keeping populations in captivity will do little until solutions to the ongoing epidemic can be found. Most wildlife managers and their administrative supervisors tend to be risk-averse, often choosing to “carefully monitor” populations rather than instituting new, potentially risky conservation practices. But monitoring does nothing to prevent tens of thousands of North American bats from dying of white-nose syndrome each year. 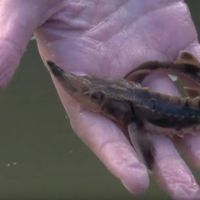 Ironically, listing a species that is declining due to disease as endangered under the Endangered Species Act (ESA) can exacerbate this problem, because government agencies often become even more risk-averse in permitting and funding research on ESA-listed species. Inaction results in many populations and species being “monitored to extinction,” when certain actions, while risky, have the potential for a much more positive outcome. This problem illustrates a key issue in conservation: the current system does not penalize inaction, but does penalize actions that may cause harm. This obviously encourages risk-averse attitudes. If we are to meet the challenges that current and future wildlife diseases pose, the incentive system will need to change to reward risk-taking interventions. A. Marmaduke Kilpatrick is a disease ecologist in the Department of Ecology and Evolutionary Biology at the University of California, Santa Cruz. His research is focused on applied questions in population biology, disease ecology, conservation, and human health. R.N. Harris et al., “Skin microbes on frogs prevent morbidity and mortality caused by a lethal skin fungus,” ISME Journal, 3:818-24, 2009. K.E. Langwig et al., “Sociality, density-dependence and microclimates determine the persistence of populations suffering from a novel fungal disease, white-nose syndrome,” Ecol Lett, 15:1050-57, 2012.